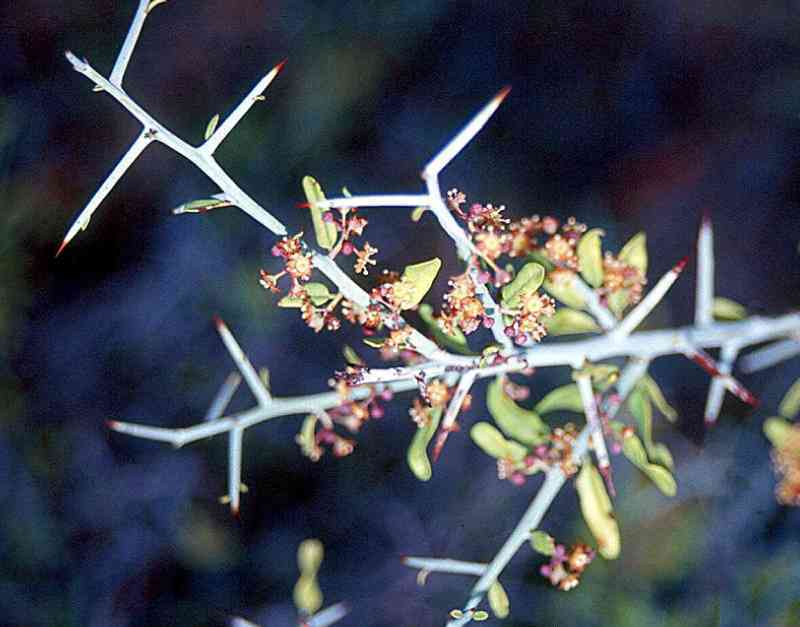 The three convergent species are Castela emoryi (Simarubaceae, yellow dots), Canotia holacantha (Celastraceae, red square), and Koeberlinia spinosa (Koeberliniaceae, blue triangles). 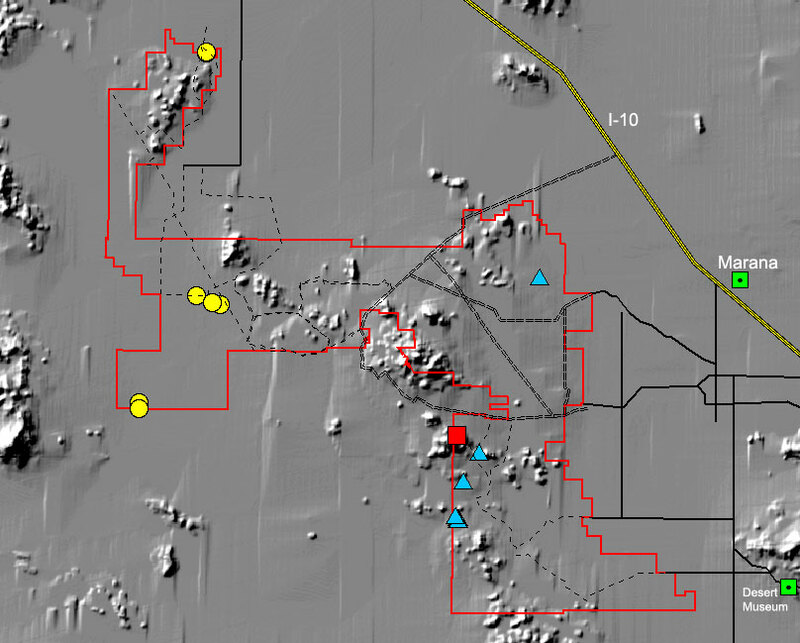 Because all three species are at the limits of their ranges in IFNM, this may be the only region where they occur in close proximity. 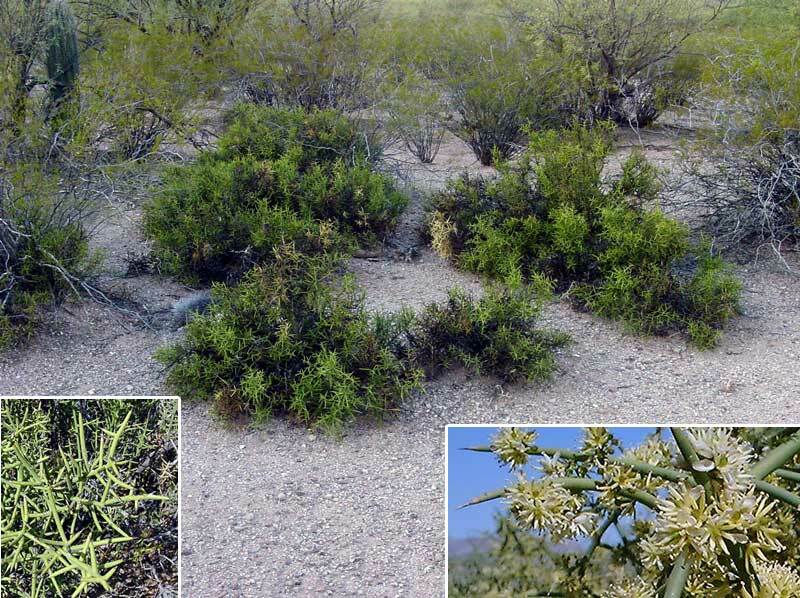 Castela emoryi typically grows in nonsaline silty depressions. The localities in IFNM are near the eastern distributional limit of the species. 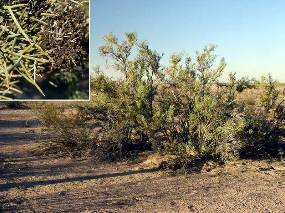 In Arizona they are usually found as widely-scattered individuals or sparse populations. In Calfornia they form dense, almost monocultural stands in clay pans. Koeberlinia spinosa forms small colonies (in IFNM) by root-sprouting. Plants are normally low shrubs but can become small trees in some locations. The species occurs in many disjunct populations from south-central California to Texas and Central Mexico. 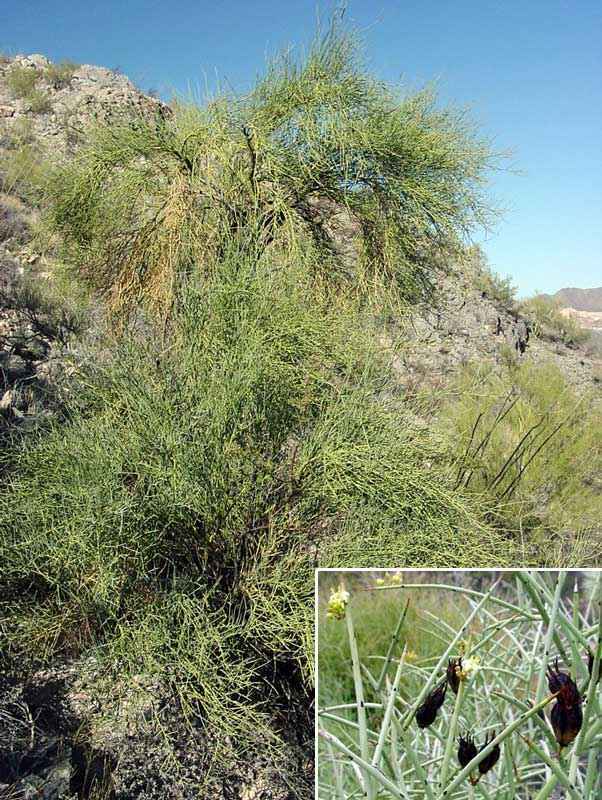 Canotia holacantha is a small tree that is more convergent in appearance with foothill palo verde (Parkinsonia microphylla) than with the other crucifixion thorns. It is common on hillsides in central Arizona south of the Mogollon Rim. 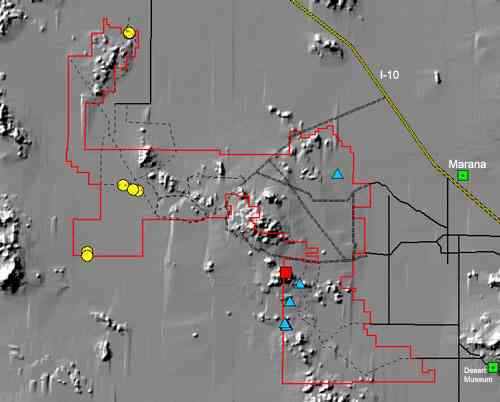 It was not previously known south of Florence, Arizona, though there are three isolated localities in Sonora. This single clone(?) of five plants is probably an Ice Age relict.